Texas Gov. Greg Abbott downplayed concerns Thursday about the voter citizenship review initiated last week by his secretary of state, even though it has since become clear that the state's list of flagged voters swept up thousands of U.S. citizens who should not have been scrutinized. The secretary of state's office said Friday that it immediately handed over information about the voters it flagged to the Texas attorney general's office. But within days, county officials heard from SOS officials who directed them to remove thousands of registered voters from their lists because they had been incorrectly flagged. "They were clear that it was a weak match, and they were reaching out to counties saying, ‘Listen, this isn’t a hard-and-fast list," Abbott said. "This is a list that we need to work on together to make sure that those who do not have the legal authority to vote are not going to be able to vote." 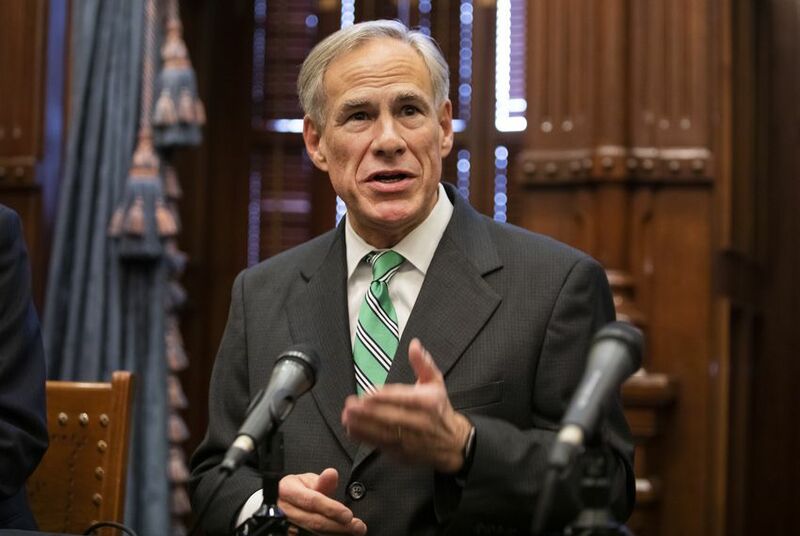 Abbott's remarks come two days after it became clear secretary of state's office had mistakenly called into question the citizenship status of thousands of voters who were, in fact, citizens. On Tuesday, the secretary of state's office quietly informed county officials it had incorrectly included some voters who submitted their voting registration applications at Texas Department of Public Safety offices and whose citizenship shouldn't have been questioned. The secretary of state instructed counties to remove those people from the list of flagged voters. In Harris County alone, this error amounted to about 18,000 names — about 60 percent of the original list — that shouldn't have been included, according to local officials. The Waco Tribune-Herald reported that the secretary of state's office told local election officials to disregard the entire list of 366 registered voters they had received from state because those people's citizenship status was actually not in question. The secretary of state's office has not responded to questions about how much this would reduce the initial count of 95,000 across the state and what effect it would have on the count of about 58,000 flagged voters whom the state said had cast ballots in one or more elections since 1996. But on top of the voters who were mistakenly included, local election officials have pointed out that it’s possible that many of the individuals have become naturalized citizens since they obtained their driver’s licenses or ID cards.